Lee H. Roistacher heads the firm’s appellate practice group handling civil appeals and writs. He has extensive experience in both state and federal appellate courts in a broad range of areas. Mr. Roistacher has handled close to 100 appellate matters as lead appellate counsel, and he has argued cases in nearly all of California’s appellate courts, including the Supreme Court, as well as the Ninth Circuit Court of Appeals. Mr. Roistacher’ s appellate work has resulted in a number of published opinions, including Rubenstein v. Doe No. 1 (2017) 3 Cal.5th 903. 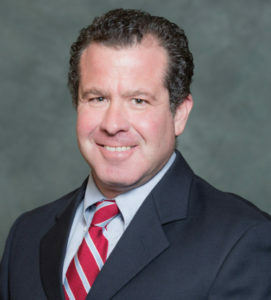 He has also authored amicus briefs for the California League of Cities, the California Association of Counties and the International Municipal Lawyers Association on a variety of issues impacting government entities in California and nationally. Mr. Roistacher also maintains a litigation practice representing public entities in complex civil litigation in state and federal court. In 2019, Mr. Roistacher was awarded the International Municipal Lawyers Association’s Amicus Service Award for his legal advocacy on behalf of government entities. Mr. Roistacher received his J.D. from the California Western School of Law where he earned numerous American Jurisprudence awards for academic excellence, and served as a writer and editor for the California Western Law Review. Prior to joining Daley & Heft in 1996, he served as an extern to the Honorable David Thompson at the Ninth Circuit Court of Appeals.